One of the most important factors when selling your California property is getting the list price right. You can certainly get an appraisal to determine the value of the home, but there are much more affordable ways to achieve the same goal. 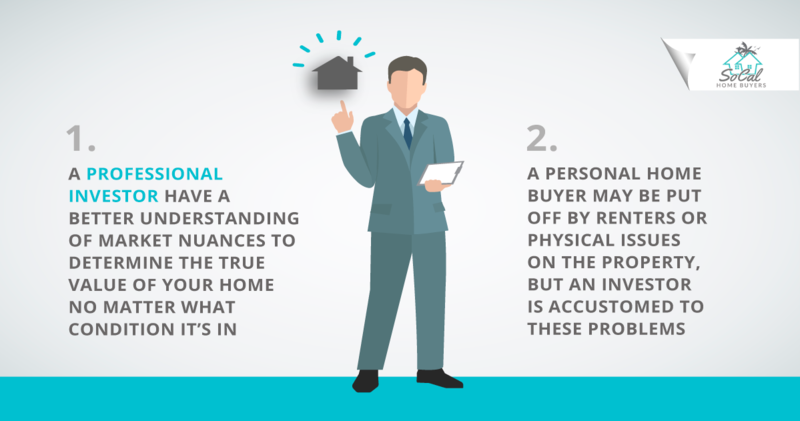 When determining a true value for your home, you’ll probably hear a few different phrases thrown around by real estate agents and other industry professionals. 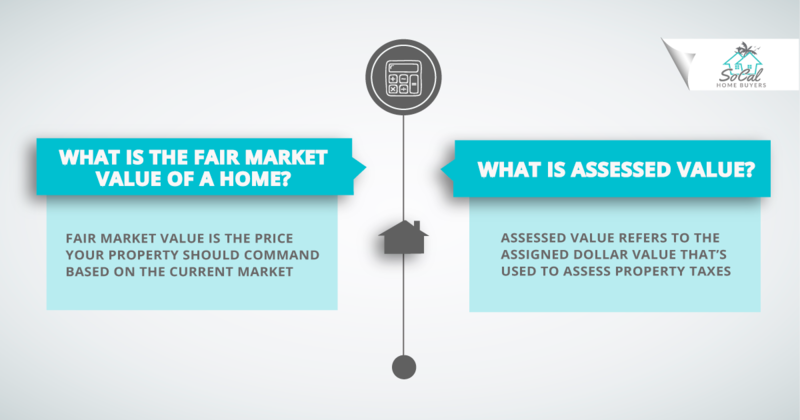 If you’re wondering about the difference between market value vs. assessed value, you’ve come to the right place. We’ll let you know how each one works in California so you can make sure you get the best price for your property. Fair market value is the price your property should command based on the current market. When you look at the nuances contributing to a home’s fair market value, especially in California, you have to look at several different factors. The two most obvious ones are the condition of the home and its location. If you’re selling a property that currently has renters, schedule a time to chat with them and tour the property. You’ll have less control of the condition in which it’s shown and you want a realistic idea of how potential buyers are going to see the place. It’s also important to compare your property other comparable properties in the neighborhood. Try to find homes within a few-mile radius that are similar in square footage, number of bedrooms, age, and overall condition. You can look at what’s currently listed on the market, but before that, look at those that were recently sold to get a feel for buyer sentiment. Did each home sell quickly? What was the difference between the list price and the sale price? Use this information to get an idea of a reasonable price per square foot for your own property. While market value refers to the price you’re likely to get for your home, its assessed value refers to the assigned dollar value that’s used to assess property taxes. This is important for homeowners regardless of whether it’s your primary residence because you’re responsible for paying real estate taxes to your local municipality each year. If you’ve inherited a property, you’ll be responsible for keeping up with the tax payments until you decide to sell. California’s property value assessment rules are set forth in Proposition 13. Luckily for homeowners, whether you’re handling an inheritance or an income property, the assessment rules are there for your protection. First, the maximum tax rate for the entire state is 1% of the assessed value. All of the collected taxes go to your local county government and are used at their discretion. 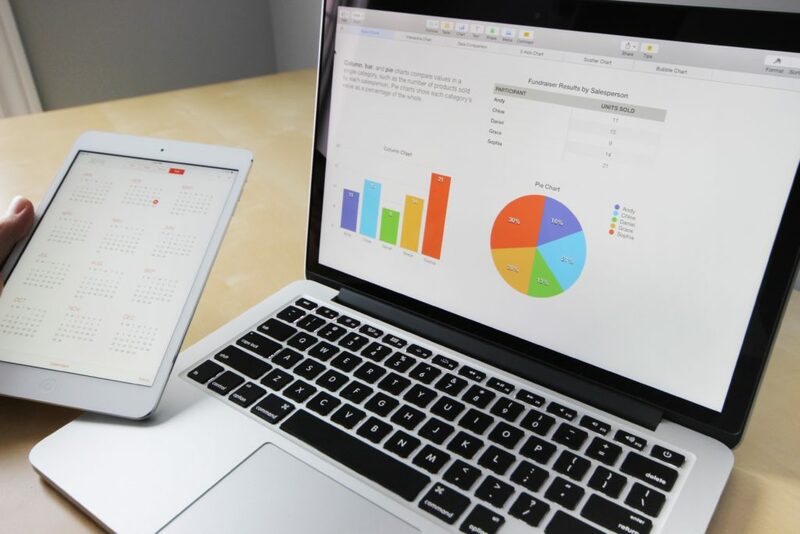 A full assessment is typically only conducted when a property is sold or transferred. Otherwise, it increases 2% each year to account for inflation. There’s helpful exclusion for people who inherit homes directly from their parents. Under the parent-child reassessment exclusion, your property tax won’t be reassessed. What that means is your tax burden won’t suddenly jump because ownership was transferred to you. For tax purposes, it will continue to be assessed using the same value and rate that was assigned to your parents. That can help you keep the home if you want to, or at least not force you to sell right away if you’re not quite ready to rush through the process. When a property is sold or transferred to a non-child heir, the property is automatically assessed at 100% of its fair market value. That means whatever amount your property value assessment comes to is the amount buyers could expect to pay when you’re ready to sell. It’s important to do your own research to make sure a tax assessment doesn’t negatively impact your ability to sell at an actual fair price. It can be helpful to work with a local real estate agent to make sure you have realistic expectation while also ensuring an accurate assessment process. What happens if your assessed value is quoted as less than it should be? If you’re trying to sell a rental property or inherited property, the assessed value may seem important. After all, won’t buyers look at that number as a basis for making an offer? That may be true, but assessed values are only a starting point. The county property assessor uses general information like comps and formulas. They’re not looking at your exact home and any unique features it has to offer beyond square footage and lot size. When you list the house on the market, you need to include great pictures and text in the listing to convey the extra value a buyer may be receiving. 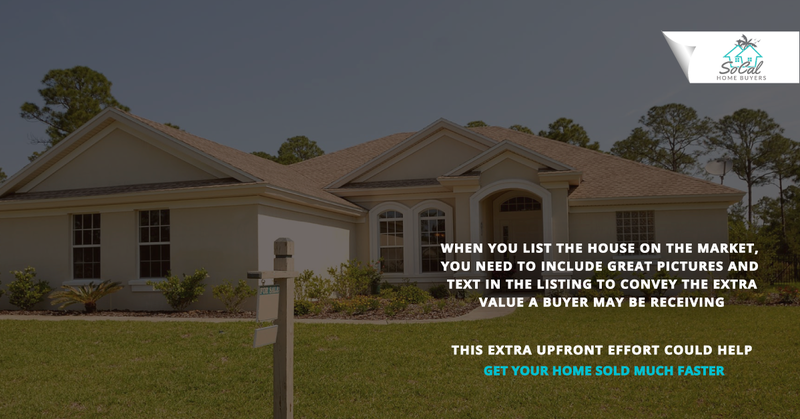 This extra upfront effort could help get your home sold much faster and at a better price because the buyer has more information to craft their offer. Whether or not you’re planning to sell the property, you may be suffering from expensive property taxes, particularly if your assessed value is high. Luckily, the state of California offers a tax abatement program in the form of an exemption. You can qualify for up to $7,000 reduced from the assessed value of the property. At the 1% tax rate, that’s equivalent to a $70 discount. To be eligible, however, you’re required to live in the property as your primary residence. If you meet that qualification, you can file an exemption claim with the county assessor. Contact your local treasurer’s office or taxation office for the correct contact information in your county. 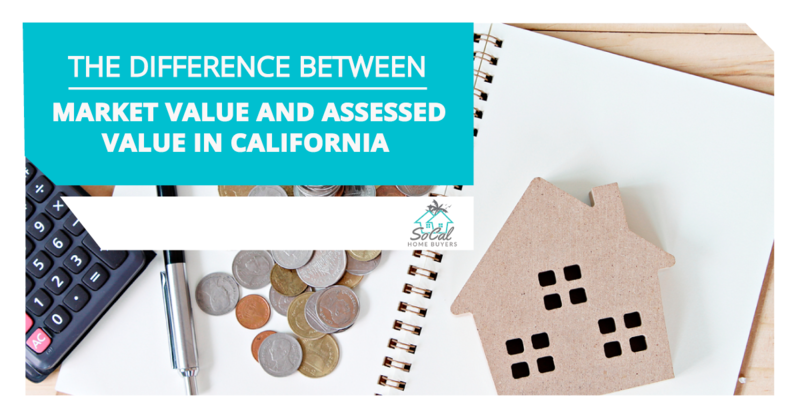 Figuring out the difference between the fair market value of your California home and its assessed value can be tricky, especially if you’re catering to traditional buyers. That’s where it can be helpful to choose to work with a professional investor. They have a better understanding of market nuances to determine the true value of your home no matter what condition it’s in. A personal home buyer may be put off by renters or physical issues on the property, but an investor is accustomed to these problems. Plus, by getting an all cash offer, you can close quickly and avoid paying potentially high taxes when the next due date rolls around. At SoCal Home Buyers, we make the selling process fast and simple. In fact, you can even keep more cash in your pocket by avoiding real estate agent fees. Want to learn more? Reach out and contact us today for your all cash offer. « Previous Post Selling Your Home for Cash: How to Know If You’re Getting a Good Deal Next Post » What Happens When Your Inherit A Property With A Mortgage?